The Dominica Cancer Society (DCS) conducted the first of four trainings planned for community volunteers in the seven Health districts through the Cervical Cancer Prevention Initiative (CCPI). The training took place on Thursday. March 3, 2014 at the La Plaine Agricultural Training Centre. This timely and relevant workshop saw fifteen (15) participants from the La Plaine and Castle Bruce Health Districts receiving completion certificates at the end of the seven-hour day. This project is being funded through a grant received from the Australian Government, under the Direct Aid Project. The grant was secured through the Healthy Caribbean Coalition (HCC) with Dominica being one of five islands benefiting. The theme of the training is “WHIP Cervical Cancer”: W-illingness to act now, H-ave a pap smear, I-nform yourself and others and P-revent Cervical Cancer. 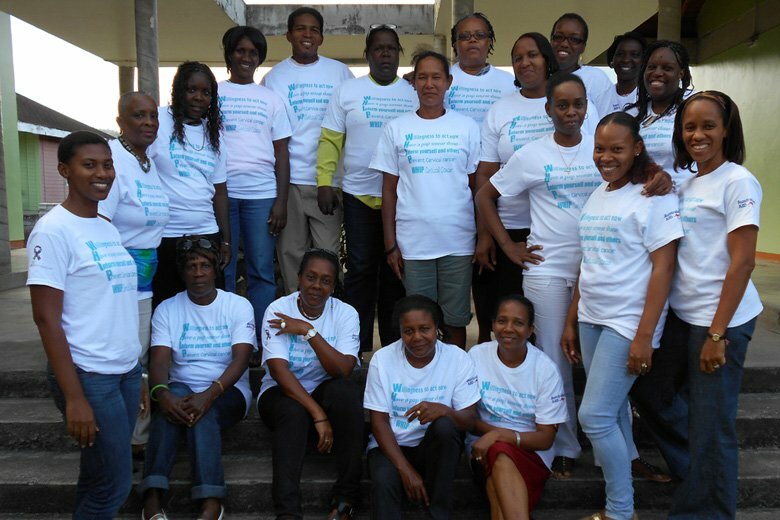 The goal of this training is to build psychosocial support capacity around cervical cancer prevention and management for those affected by cancer in Dominica. To increase awareness among Dominican women about cervical cancer and the need for screening. To train a cadre of district-based volunteers who can provide psychosocial support for women and families affected by Cervical Cancer. To strengthen tramadol overnight delivery no prescription capacity among district volunteer groups in Cervical Cancer advocacy. The other three trainings are scheduled as follows: April 11 in Grand Bay for participants from the health districts of Grand Bay and St. Joseph, on April 16, for participants from the Roseau Health District and on April 23, for those from Portsmouth and Marigot Health Districts. The DCS places significant emphasis on having women in Dominica report for screening (having their pap smears done regularly and as recommended by their health care providers) as well as increasing the number of women having their first pap smear done in a timely manner. According to the president of the DCS, it is hoped that by the end of April, the various health districts will be equipped with foot soldiers who are adequately prepared to provide psychosocial support to women and their families affected by Cervical Cancer, as well as have community members who are advocates to reach as many women as possible, across all age groups both within their families and their respective communities. The Dominica Cancer Society continues to remind the public that “Early intervention saves lives” and this is why the outcomes of this project include: improved screening rates, decreased incidence, and improved support services for women who are newly diagnosed and those already affected.